The South and North Node in karmic astrology (also called True Nodes) are points where the moon intercepts the earth's orbit around the sun. They're important because they're understood to have points of soul magnetism. Your North Node by astrological sign and house, represents your soul mission or the next experience for soul growth. In effect, it pulls you toward your most expansive future. Your South Node represents your karmic past. It's your Achilles heel, and an energetic bucket of people, habits, situations and karma from past lifetimes that you're here to resolve. It also represents the talents you're here to carry forward. You'll notice right away that your North Node is (likely) different than your Sun sign, a.k.a. the general astrology you read about in magazines or newspapers. While your Sun represents how you achieve and radiate your personality, your North and South Nodes represent the growth of your soul. Karmic astrology is a spiritual approach to astrology. For me personally, it's been a powerful guide during my own spiritual awakening. Why study your North Node? Clairvoyant Edgar Cayce said that the real value of astrology is understanding our cycles of soul growth: not prediction. 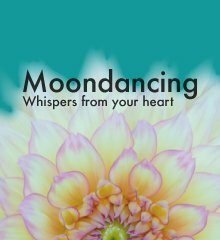 So whether you're seeking your life purpose, awakening your intuition or finding your soulmate, studying your North and South Node can always shed new light. Even years after learning mine, I continue to discover new layers (mine is Cancer in the 12th). By aligning with your soul mission you align your personality with your soul. This will not only make your life more meaningful and enjoyable, but it'll make life easier because you'll be working with your soul instead of against it. Not only that, but the more you consciously engage your North Node, the more likely you will attract people, events and situations into your life that will lead to remarkable serendipity and growth. Your soul mission is symbolized by the astrological sign and house of your North Node. Your karma (past) is symbolized by your South Node which is always in the opposite sign and house. As you may know, there are twelve astrological signs. These symbolically represent different talents, expressions and experiences of life. There are also twelve astrological houses (each ruled by a sign) that represent different areas of life, from the personal and material, to the universal. To get your North and South Node information, you need your astrological chart. Don't have your birth chart? You must have your accurate time of birth to know the house in which your North Node is expressed. However, do not despair! Even without your full birth information, there's lots to explore. Here's how you can create your own free karmic astrology chart and identify and interpret your North Node. For the rest of this article, I call your North Node your soul mission, and your South Node your talents and karma. First, appreciate the talents you've mastered over lifetimes, represented by your South Node sign and house. They're the foundation from which you'll launch your future. Second, own your karma by acknowledging the flip side of your South Node talents: those ingrained not-so-lovely habits which may have created some karma. THIS is the energy that keeps you stuck. It's your Achilles Heel. And it's always the 180 degree opposite to your soul mission. Third, step into your soul mission by adopting new EMOTIONAL RESPONSES, ATTITUDES and ENERGY in the AREAS OF LIFE represented by your North Node. Once you have your North Node sign and the house in which it's expressed, come back to this page and reveal your soul mission by reading the detailed descriptions below. Seeking love? 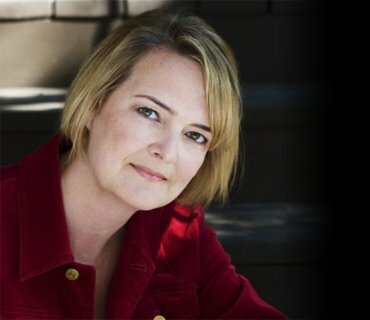 Get another perspective by reading astrological soulmate to get tips about your highest potential soulmate relationship. Stepping into your soul mission may NOT be easy peasy, and that's okay. Know that it's your soul stretch which will unfold over your lifetime. For example, my soul mission is in emotionally vulnerable Cancer (and the heavily karmic, mystical, 12th house), which at first scared the heck out of me. But! Exploring this energy both creatively and in my day-to-day life has been incredible for me as well (I wouldn't have chosen to write without its nudging). 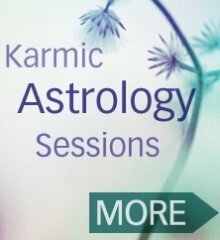 Karmic astrology – More on karmic astrology including why it's different (and more powerful imho) than traditional astrology.